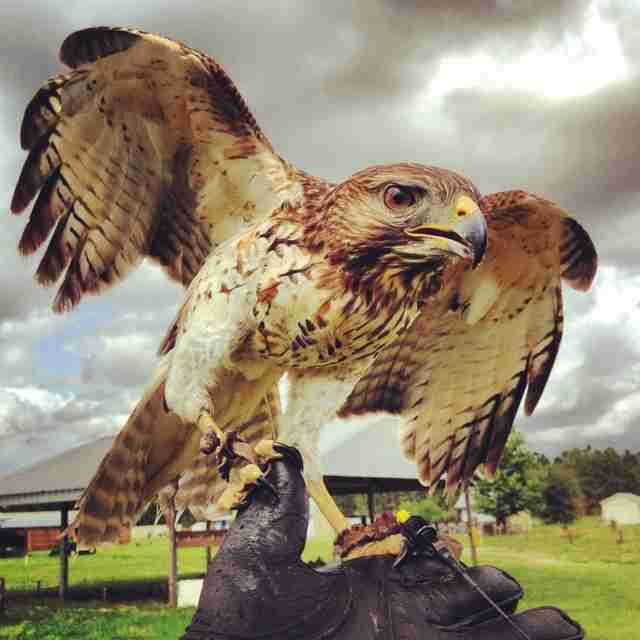 At the Avian Reconditioning Center, baby season always brings orphaned and injured young birds of prey to our doors. 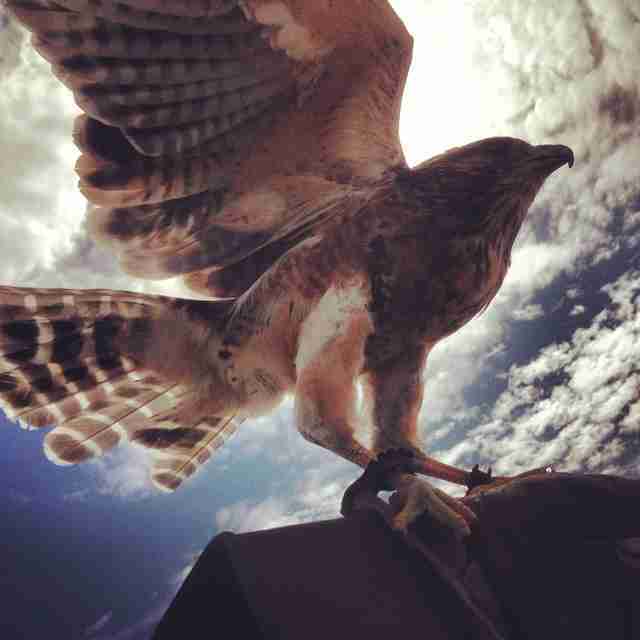 Sometimes in the spring, people cut trees down and young hawks come tumbling out. This is what happened two years ago, when we got Archer. These three young red shouldered hawks lost their home when their tree was felled without first checking for a nest. 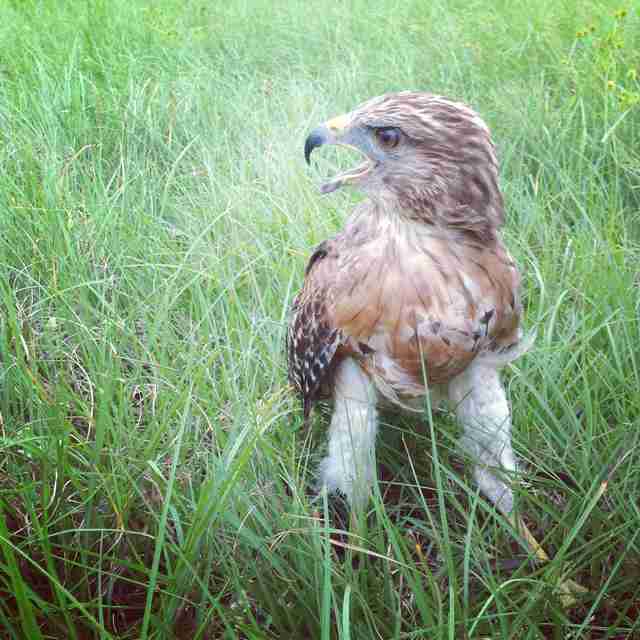 Two of the young hawks were fine, and we were able to release them once they were old enough. However, one of them (at right), had nerve damage from the fall, and couldn't raise his head on his own, and had to be propped up with a rolled blanket. His injuries became more apparent when we tried putting him outside with the other red-shoulders in our nursery, hoping the larger space would get him moving around. He was unable to use his legs properly, and could only get around by "swimming" with his wings. It soon became obvious that he was not getting better on his own and we began daily physical therapy to try and get him to use his legs. Though the therapy helped, it became clear that this bird wouldn't be releasable. Although he could stand on his own, his feet still had problems. 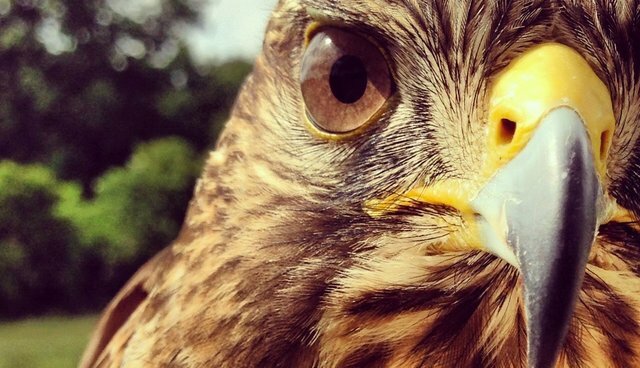 Raptors need to be at the top of their game, with strong feet to catch prey. With damaged feet, he wouldn't be able to hunt well enough to survive in the wild. It's a hard life for a young hawk - around 70% of young raptors don't survive their first year. Archer was one of those birds. 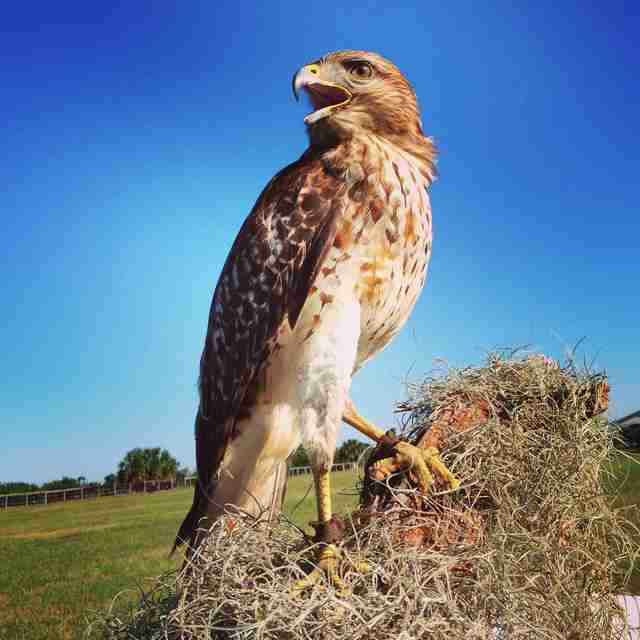 And although he was not a releasable bird, he now lives at ARC and teaches people all over Florida about birds of prey, and how important it is to look before trimming trees. He captivates visitors to the center with his silly personality and siren-like call. And while his feet have problems, his wings work just fine, and he spends warm sunny days flying around ARC, chasing grasshoppers and crickets. He's come a long way for a little hawk.